In dramatic narrative form, Phil Keoghan transports the reader from the Yucatan Jungle to the depths of an underwater cave to the top of an erupting volcano. But this is no armchair traveler book. It is an urgent call to action, inspiring and enabling people to overcome fear and seek out memorable experiences of their own. With his fresh and compelling N.O.W. philosophy, No Opportunity Wasted will help us all dream more freely and live more fully. PHIL KEOGHAN is currently in his seventh season starring as host of the Emmy-winning CBS primetime series, The Amazing Race. Keoghan also stars in and produces the N.O.W. 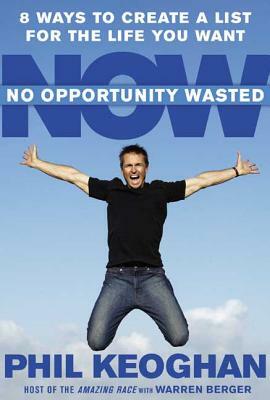 (No Opportunity Wasted) reality television series. He has been profiled in People magazine and TV Guide and has been featured repeatedly on Oprah. WARREN BERGER is a longtime contributing editor at Wired magazine, and his writing also appears frequently in the New York Times, the Los Angeles Times Magazine, GQ, and Men's Journal.